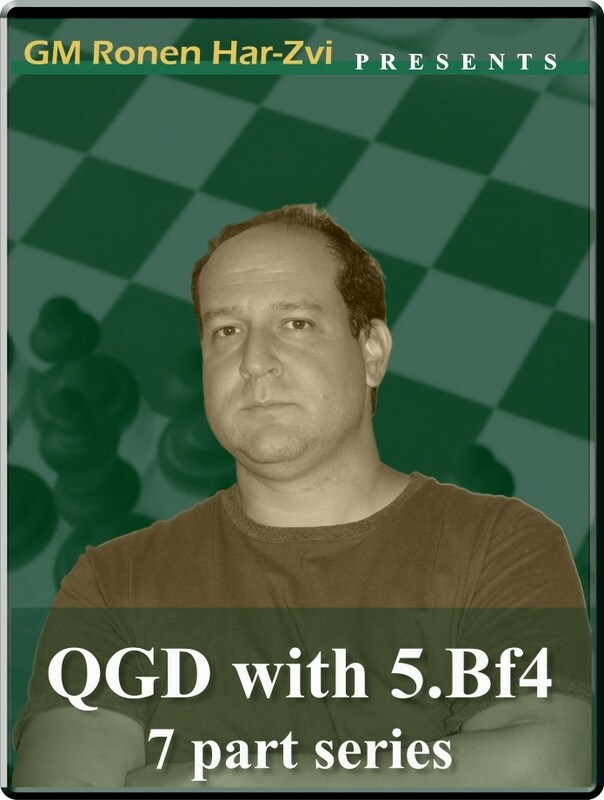 Ronen's Opening Survey: QGD with 5.Bf4 (7 part series). D37: QGD: classical variation (5.Bf4). The Orthodox Defense to the Queen's Gambit (1 d4 d5 2 c4 e6 3 Nc3 Nf6 4 Nf3 Be7) is an extremely resilient system for Black, and a solid favorite of not just your average club player but also many of the world's top stars. For many years, the two main lines against it used to be 5 Bg5 or 5 cxd5. But in the early 1970s, Hungary's Lajos Portisch revived an old favorite of English player Joseph Blackburne (1841-1924) of 5 Bf4 with some pioneering new ideas in it. Players such as Kasparov, Karpov, Kramnik, Fischer, Carlsen, Topalov and Ivanchuk added it to their repertoire. And in a new series of Ronen's Opening Survey for Chess.FM, our resident openings expert, GM Ronen Har-Zvi, takes a closer look at the many attractions to the Queen's Gambit Declined with 5 Bf4 and why you also should be adding it to your repertoire. Ronen's Opening Survey: QGD with 5.Bf4 (7 part series). D37: QGD: classical variation (5.Bf4). The Orthodox Defense to the Queen's Gambit (1 d4 d5 2 c4 e6 3 Nc3 Nf6 4 Nf3 Be7) is an extremely resilient system for Black, and a solid favorite of not just your average club player but also many of the world's top stars. For many years, the two main lines against it used to be 5 Bg5 or 5 cxd5. But in the early 1970s, Hungary's Lajos Portisch revived an old favorite of English player Joseph Blackburne (1841-1924) of 5 Bf4 with some pioneering new ideas in it. Players such as Kasparov, Karpov, Kramnik, Fischer, Carlsen, Topalov and Ivanchuk added it to their repertoire. And in a new series of Ronen's Opening Survey for Chess.FM, our resident openings expert, GM Ronen Har-Zvi, takes a closer look at the many attractions to the Queen's Gambit Declined with 5 Bf4 and why you also should be adding it to your repertoire.